It’s this fascinating mixture that represents the European charm for me and which has enchanted me so much during my research stay at the University of Vienna. 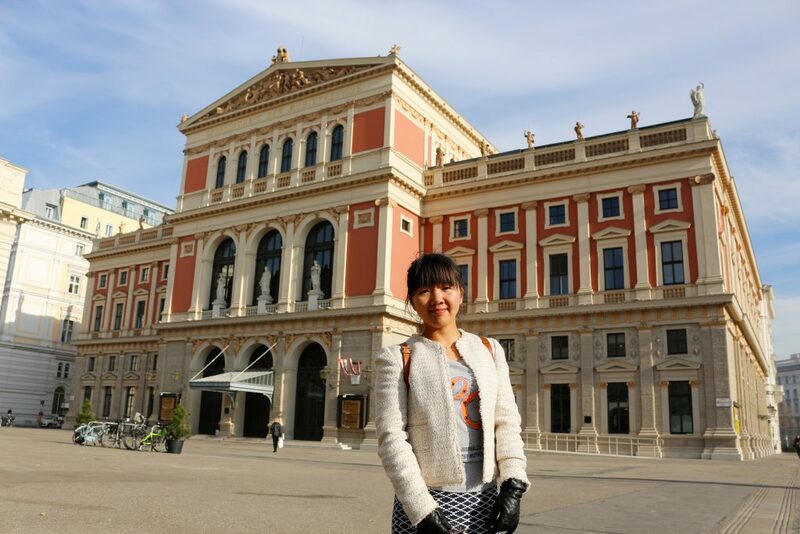 Shurong Liu in front of the concert hall of the Wiener Musikverein. Shurong Liu is a Doctoral researcher at the Institute of Bio- and Geosciences, Agrosphere (IBG-3). She has been spending one month at the Faculty of Life Sciences at the University of Vienna in Austria. In her scientific project, she analyses nitrogen processes and N₂O emissions. During her stay in Vienna, she is particularly concerned with the NH₂OH release of ammonia oxidizers.